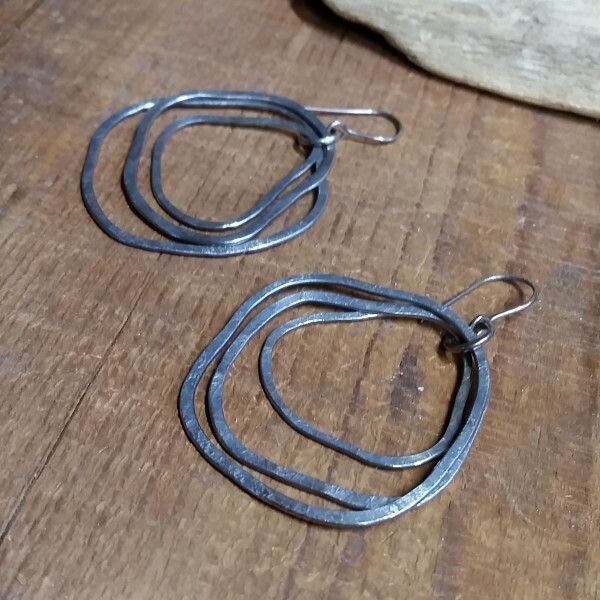 Handforged, oxidized, sterling silver hoop earrings. 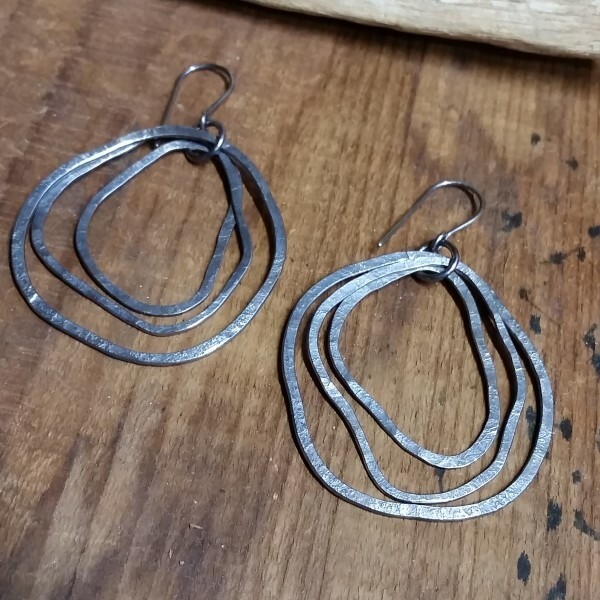 Each hoop is shaped individually and will be unique to you. These measure 1 3/4"W x 2 3/4"L.